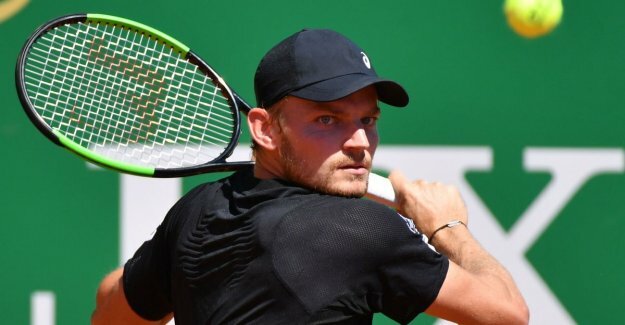 Tennis David Goffin (ATP 21) has placed itself for the second round of the Masters 1.000 tournament in Monte Carlo (5.207.405 euro). He beat on the Monegasque clay, the Argentine qualifier Guido Andreozzi (ATP 84). After 1 hour and 26 minutes was the 6-1, 6-4-end position on the scoreboard. It was their first mutual duel. In the sixteenth-finals will play Belgium's number 1 against the Serb, Dusan Lajovic (ATP 48). She went two times 6-4 over the Tunesiër Malek Jaziri (ATP 71). In 2015 knocked Goffin the Serb in their only previous encounter, at the Masters 1,000 in Paris (hard court), 6-2, 6-2. Goffin, 28, is the sixteenth seed in Monte Carlo. He has a lot of points to defend as last year, as Also the quarter finals in the principality, where he lost to Grigor Dimitrov. In 2017 he removed even the last four. Goffin was the only Belgian on the table of the Rolex Monte Carlo Masters. On the side of the Frenchman Lucas Pouille he also participates in the doubles. They play in the first round against the Brazilian Marcelo Demoliner and the Russian Daniil Medvedev.